Well-groomed nails are an important part of your beauty and style routine. But regular salon manicures are time-consuming and costly. While some salon service results cannot be duplicated as well when done at home, a quality manicure & pedicure set makes an at-home manicure an easy job to do yourself. 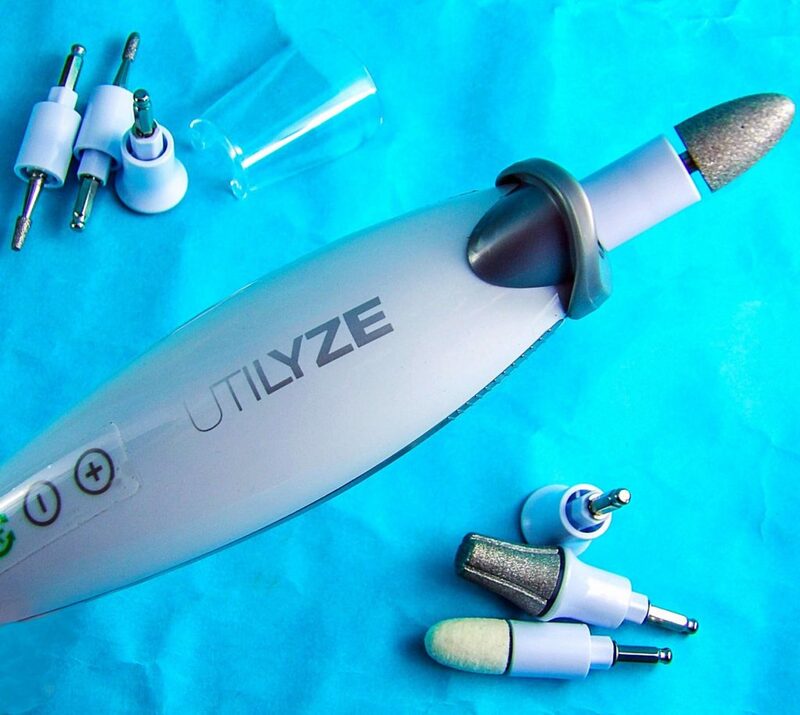 A professional set we like is the Utilyze Professional 10-in-1 Manicure & Pedicure Set. In addition to the main unit, the set comes with six attachment heads and a detectable protector shield. 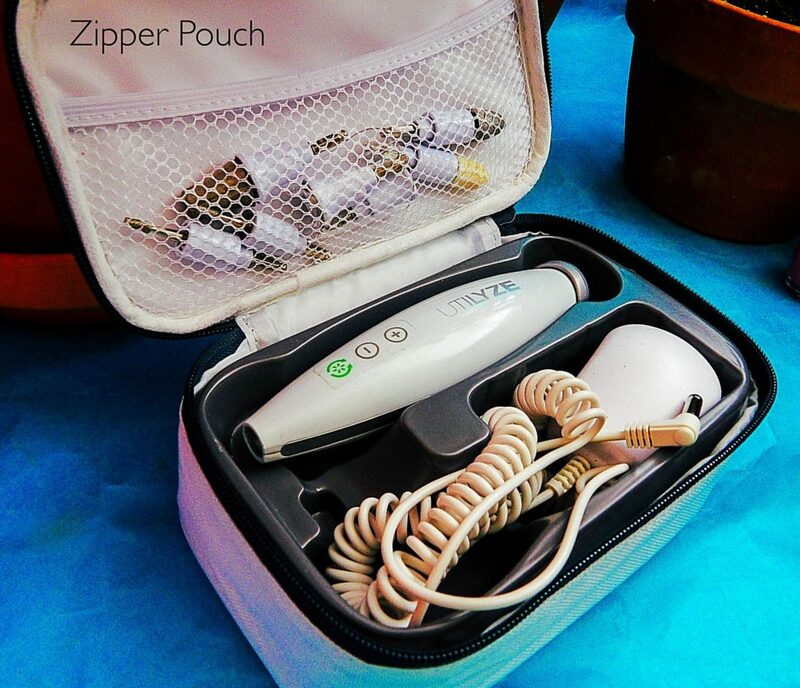 There is a zipper pouch case to hold all the pieces together safely. The unit itself has a detachable cold LED light that makes it easy to see the areas to work, especially for toes. The adaptor has a spiral cord that makes it easy to maneuver while in use. There is an on/off switch and the attachment heads snap in quickly and securely. The unit was easy to use, and none of the attachments were uncomfortable or painful to use, and the buffer did not feel too warm or harsh on the nails. The pressure of each head was effective but comfortable. These are professional grade and work very quickly. I like the Over-Pressure auto stop, so I don’t press down too hard and damage the nail or skin, and it is very useful if your hand accidentally slips and you unintentionally use the file on healthy skin. I slipped while using it once, and it stopped automatically, which is a nice feature. A problem I have had with some nail files and buffers is they over buff the nail, leaving it weak and damaged. My nails felt strong after using this unit. TIP: When using each attachment head, remember to keep the unit or your fingernail in motion so as not to over-file or buff any one area, especially when using the sander, the rough shaping disk, and the cone attachments. The SAPPHIRE CALLUS SANDER is for treating thick calluses and hardened skin on feet and hands. It is not too scratchy but gets the job done without irritation on any hardened, rough skin such as on the heels of the feet. It is much easier and faster to use this sander attachment on feet than to use a traditional pumice stone and the results are far better. The FELT POLISH CONE smooths and polishes the nails, similar to a nail buffer. What I especially like about this cone is it gives a beautiful natural shine and surface to the nails, but it does not over-buff or burn. I have damaged my nails with other buffers that are too abrasive; this just gives a nice even surface and sheen to the nail without damaging the nail itself. Suitable for use by both men and women, nails can have a light natural, healthy sheen or a high-gloss shine if preferred. The CYLINDRICAL MILLING CUTTER grinds down thick nails, including very thick toenails that regular nail scissors or clippers cannot cut. This head is also useful for those with medical problems that make cutting the nail ill-advised, including diabetes. 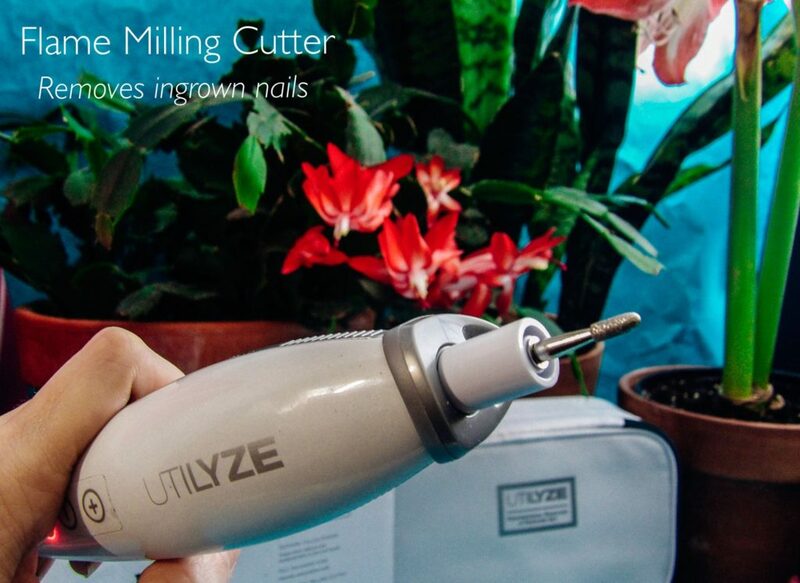 The FLAME MILLING CUTTER removes ingrown toenails. The FINE SAPPHIRE SHAPING DISK files and smooths nails. I used this to file down my nails to an even length, remove snags, and to shape my nails. This disk works fast! Make sure to pay attention, this is NOT like absent-mindedly filing your nails with an emery board type of file, it only takes a few runs over the nail to get it into shape. This is probably my second favorite attachment head because some of my nails recently broke short and snagged so I am cutting them shorter for a while until they grow strong and longer. This disk-shaped my uneven nails very quickly into a smooth, even shape without snags or peeling layers. I also like that it is easy to groom and shape both sides of the nail evenly on both hands by myself, which is a much more professional look than I can achieve on my own with a manual four in one buffer like I usually used. The ROUGH SAPPHIRE SHAPING DISK trims and shortens thick nails. 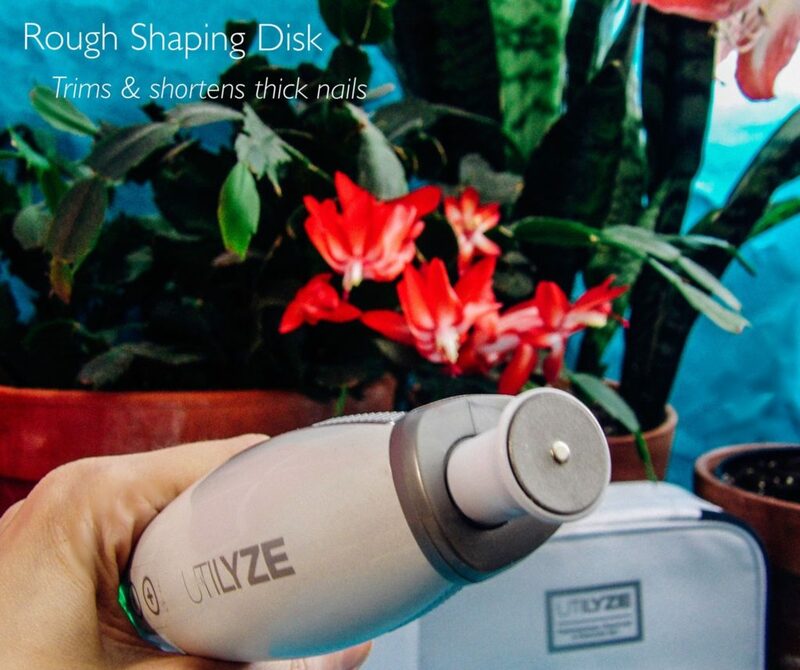 This shaping disk is very useful for men who wish to keep thicker nails in presentable condition, as well for women who want to file down their nails before growing them out long and healthy. This disk is also a very quick working file to remove nail length quickly and evenly without causing shreds or breaking. TIP: For both disks, try to keep the nail towards the outer edge of the circle so as not to hit the nail on the center of the head. I used this attachment on my toenails to shape them evenly. I liked that they were rounded and shaped in a more professional and prettier way than I could do with nail scissors or cuticles and filing with an emery board. 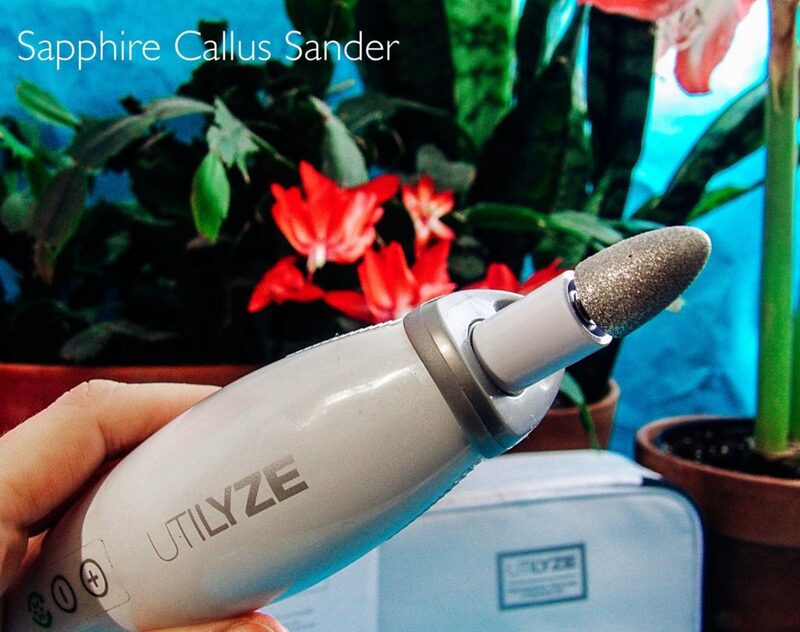 The SAPPHIRE CONE is used to remove hard and dry skin. I used it around my nail on overgrown, dry cuticles and some rough skin on the sides of my nail. As seen in the video, it quickly sands down dry skin into a fine powder that can washes off clean. My skin was not red or irritated after use and almost all of the dead skin was removed with irritation or skin damage. 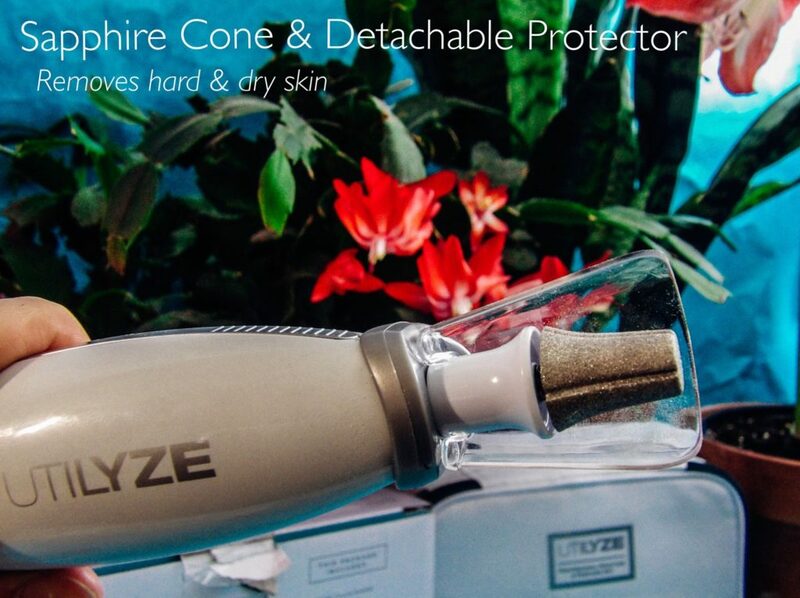 The DETACHABLE PROTECTOR can be used with any attachment head to catch the dead skin or nail debris. I found this particularly useful with the dead skin removal attachment heads so as not to have a fine powder of removed skin dispersed into the air. I used the Fine Sapphire Shaping Disk and the Felt Polish Cone to prep for a nail polish change or to leave my nails bare. For toenails and fingernails that have become very misshapen, I use the Rough Sapphire Shaping Disk first, then the Fine Shaping Disk and Felt Polish Cone. On toes, I also do a quick treatment with the Sapphire Cone attachment to remove any dead skin, especially on the big toes. CONCLUSION: Unkempt nails are distracting and unattractive. My DIY manicure skills are not great; the professional results look so much better. 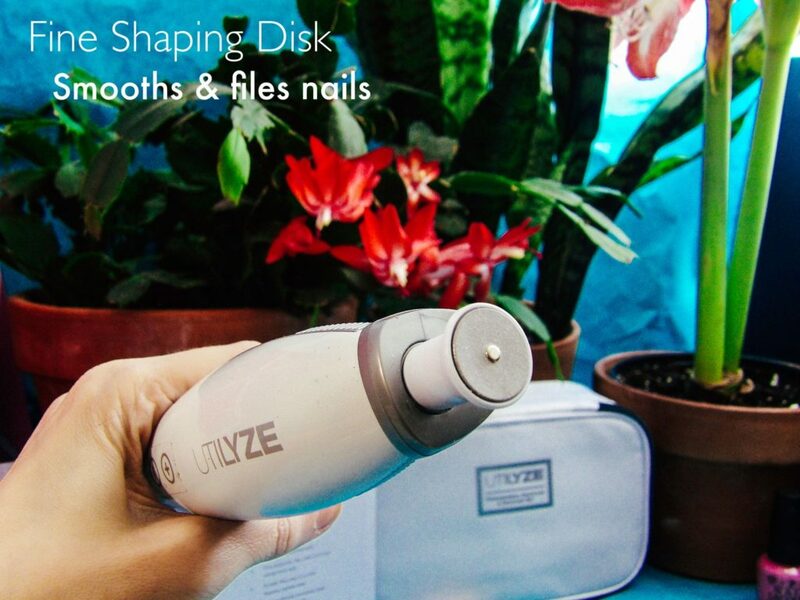 Using the Utilyze Professional Manicure & Pedicure Set to file and groom nails into a presentable shape and healthy buffed condition quickly, safely and easily makes nails look so much nicer on both men and women. I like the high-gloss sheen on my nails, even now while I am growing them out, it takes only a few minutes to care for my fingernails and even less time for my toenails. My nails are shiny and smooth and look lovely with or without nail polish! Find this great set at http://www.utilyzeproducts.com. Q: What did Iron Lady Margaret Thatcher, International Celebrity Madonna, and Regular Person Me, have in common? A: Rumour has it, we all tried Intramuscular Injections of the B12 Vitamin. Marge and Madge got B12 shots to have the energy and stamina to maintain their powerhouse, overpacked, ambition-driven, UK-running schedules. I got them just to try not to yawn my way through the day and have enough energy for regular people things. B12 injections are an increasingly common practice where the shot recipient reports increased energy and stamina, beyond what standard multi-vitamin supplements can offer. B12 makes DNA and red blood cells. Without enough B12, your body runs out of steam and your mind can feel groggy. B12 is also necessary to maintain your nervous system. Many people, especially women, tend to have depleted B12 levels. The result can be a host of health and beauty problems. Some health problems include a weak immune system, feeling tired, and weight gain caused by a sluggish metabolism. Some of the beauty problems caused by reduced B12 reserves include excess weight gain, unhealthy, brittle and lifeless hair (and in extreme cases hair loss), pale dull skin, and weak, brittle fingernails. Many hair and nail growth vitamins contain some level of B12. Low B12 levels can also just make one feel “BLAH.” Some people impacted by low B12 just feel they are not performing as well as usual, like a perpetual “off day,” even impairing their sensory-motor control resulting in more clumsy mistakes. DO YOU HAVE ENOUGH B12? The body does not make B12; we get it from food or supplements. Some health issues deplete B12 reserves. Vegan and vegetarian diets often lack adequate B12 nutrients and require some supplementation. Dangerously low levels of B12 often merit a regular schedule of B12 injections followed by dietary changes and supplementation. A good supplement plan can often manage depleted but not medically dangerous B12 levels. You may already take a B12 supplement or a multi-vitamin and still not feel any benefits or see tell-tale signs of B12 absorption such as stronger fingernails. It is sometimes difficult to know if the vitamin is even working. The problem with many vitamin supplements in pill, tablet or capsule form, is they don’t contain enough B12 to make it through your digestive system, especially if there is an underlying medical condition (or medications) that hinder absorption. B12 injections work not just because it is a super-size dosage, but because it goes directly into the bloodstream, skipping the digestive tract entirely. Misol by InMed Technologies is an innovative oral spray, a very fine micro-mist concentration of B12 with particles small enough to largely surpass the digestive system and goes directly into the bloodstream. This delivery system makes for fasting acting, robust B12 in your system. If you suffer from digestive issues that impair nutrient absorption, this is an ideal supplement delivery method. There is no yeast, wheat, animal ingredients or artificial colors or flavors. I was glad to see this since many who require a supplement due to digestive issues also have allergies to some common supplement fillers like yeast and wheat. It also meets the needs of vegans and vegetarians. In addition to the B12 (methylcobalamin), the ingredients are Resveratrol (the antioxidant in red wine), and Potassium Sorbate which is a water soluble preservative, Stevia is a natural sweetener, and Peppermint Oil is used for natural flavoring. For several months I have taken an expensive daily B12 supplement tablet. Some rather expensive B12 supplements work for me, but many affordable ones don’t, so I was excited to give this Misol spray a try compared to my expensive B12 Vitamins. I shook the bottle then sprayed it into my mouth twice, one time per day. The spray is a fine micro-mist that tastes like Peppermint, it is very similar to a mint breath spray type of flavor, and is cool and refreshing. There is not a bad aftertaste like some liquid vitamins or powdered mixes. It looks like a red cough syrup, but it is not a sticky consistency when sprayed into the mouth, it just absorbs and disappears quickly, it does not need to be swallowed. It is flavored with Stevia. After the first use, I could feel my body get a “jumpstart” within about 15 few minutes of taking the spray, but not in a jittery overly-caffeinated way. It was similar to how I feel when that first few sips of coffee hit my system in the morning. And I felt more mental clarity and focus. I tried just one spray for a few times, but the two sprays per dose seems about right for me. I was a bit surprised at this result; I didn’t expect Misol to work as well as my expensive vitamins, or even better. Looking at the InMed Technologies chart, it indicates various methods of B12 delivery and their absorption rates. An Intraoral Spray, like Misol, is 95% absorption. This is HIGHER than the B12 intramuscular injections (90% absorption) that Margaret Thatcher Madonna and I have gotten. This level of absorption is a nice find in a portable, easy-to-use spray and it sure is preferable to getting an injection. The Misol bottle has about 200 sprays in it so that it will last about 3.3 months, which makes Misol far more cost effective than even the cheapest drugstore store generic Vitamin B12 I have tried, and it is very more effective than many supplements I have tried, being on par with my expensive B12 Vitamins. 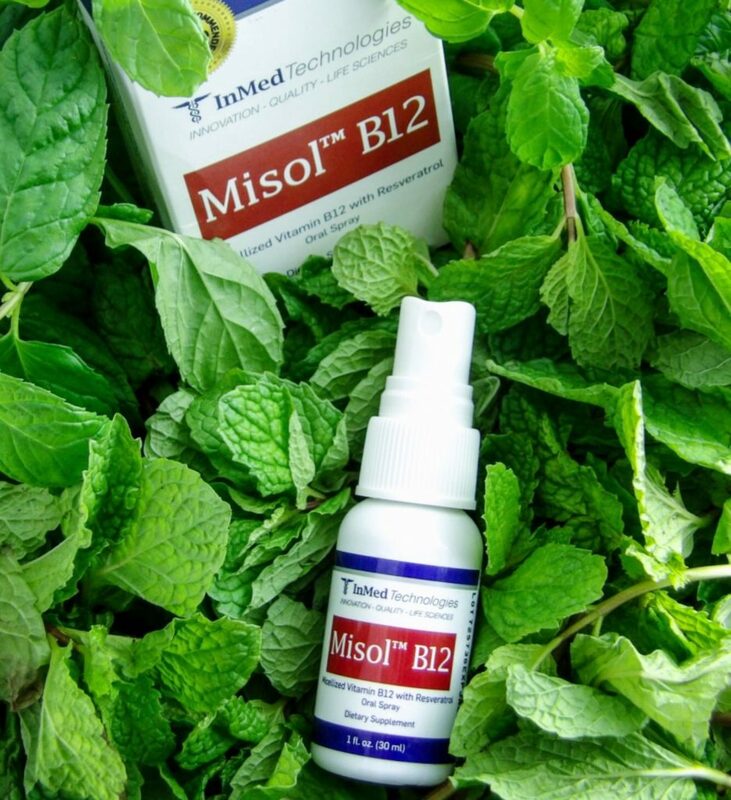 CONCLUSION: Misol Vitamin B12 Oral Spray by InMed Technologies is an innovative, effective B12 spray with high absorption capability, quick results, and no objectionable filler ingredients. It is cost-effective, and the results are on par or exceed the results I found with expensive B12 Vitamin supplements. My nails have started to get stronger within a few weeks, which is a good sign to me that a B12 supplement is working for me. And I have energy and mental focus when I use it. I am very pleased to have found an effective B12 that improves my health, energy and has great beauty benefits! 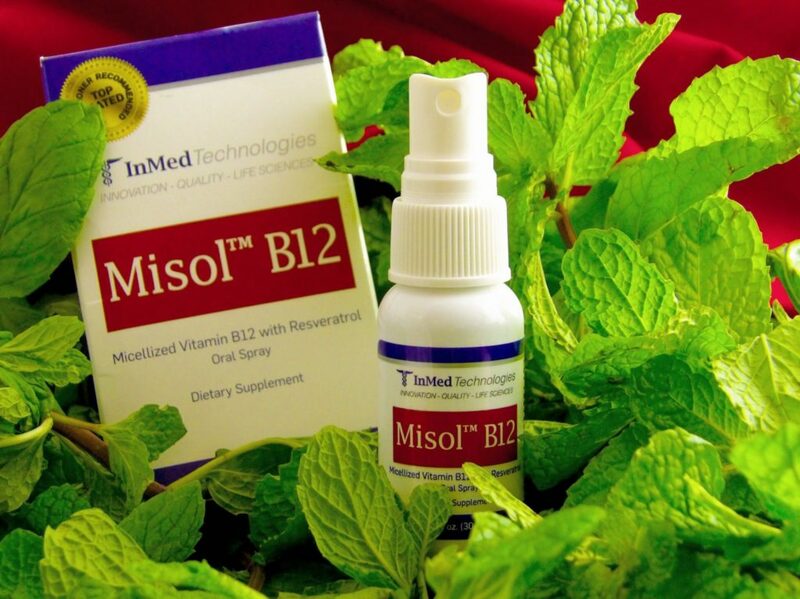 Find Misol B12 Spray at Amazon. Thanks to INMED Technologies, we are hosting a giveaway of a bottle of Misol B12 starting tomorrow on Instagram, so be sure to follow us on Instagram to find out how to win a bottle of this great product! 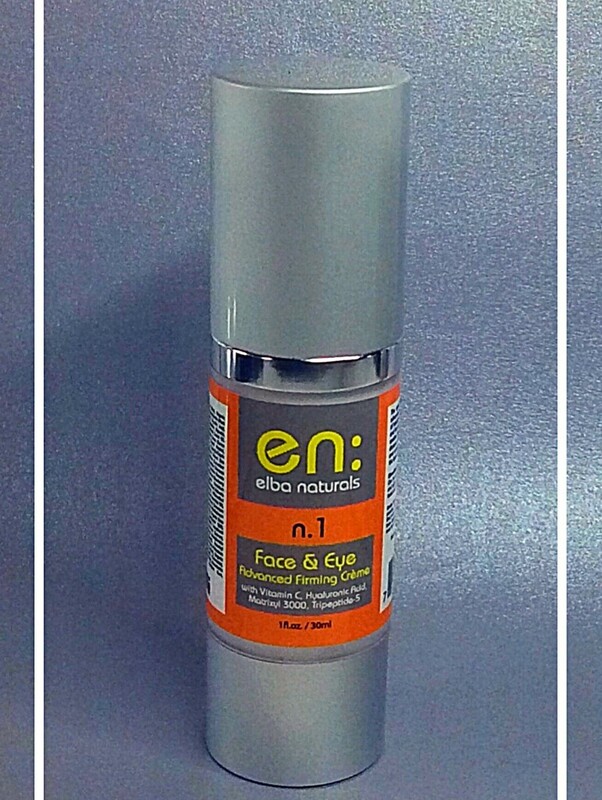 Elba Naturals n.1 Face & Eye Advanced Firming Creme is packed with natural, quality ingredients. Notable to Elba Naturals n.1 Face & Eye Advanced Firming Creme is a nice pairing of many moisturizing and soothing natural ingredients combined with several powerful anti-aging ingredients. I think the number of quality soothing moisturizers allows the powerful treatment ingredients to do a good job on areas of aging without drying out the appearance of the skin, which is a difficult balance to achieve. It contains several beauty treatment “power houses” like Glycolic Acid (a powerful peel perfect for aging skin that gently restores that youthful pink glow and can be done regularly), Vitamin C (wonderful for hyper pigmentation), and Peptides. And as you know if you read Style Chicks on any kind of regular basis, I am a huge fan of Hyaluronic Acid, and in this cream it does an amazing job at holding moisture and making skin plump and youthful. These are all great ingredients for aging skin or skin that is lackluster. Known go-to moisturizing agents like Aloe, Coconut Oil, Sunflower Oil, Jojoba, and soothing agents like Anthemis Nobilis (Chamomile), and natural remedies like Wildcrafter Arnica Montana (natural remedy commonly used for bruising and swelling). I noticed that the puffiness under my eyes went down after using it for just a couple of days. I love when a product gives fast results! It feels very moisturizing without feeling greasy. This is a nice perk for day time use to be able to apply it under makeup and have the benefit of glycolic acid to make skin have a natural youthful luster, and hyaluronic acid to plump and seem dewy. Nice to apply to problem areas like eyes, the “eleven” lines between my eyebrows, and the lines between my nose and mouth. My lips are also chronically flaking and dry so patting a small amount of my lips makes them dewy and moist under my lip stain or lipstick. The combination of soothing ingredients and glycolic acid means that your eyes and lips won’t get irritated when they work to sack your little wrinkles. Another thing that I find exciting about Elba Naturals n.1 Face & Eye Advanced Firming Creme is that it took down a couple of painful blemishes overnight, enough that I could successfully cover them. I had two proximate pimples and a whitehead that seemed to merge into one perfect storm of a pimple yesterday. After using the cream overnight, the whitehead was hard to find in a normal strength mirror, the two pimples were distinct, one was nearly flat and the other was reduced by 75%. Pretty impressive. This is probably due to the glycolic acid paired with the hyaluronic acid: the first took the blemish down, the second kept the pores open so the glycolic could keep penetrating. This product said it was also good for hands, which I was very excited to try. I have ALWAYS worn sunscreen on my face and neck since I was a teen, so my face does not really belie my age, but my hands do: I never bothered to wear any protective sunscreen on my hands and it shows. Many of the products designed for anti-aging hands are more expensive than eye creams. While most products such as trusty coconut oil can give my hands a temporary younger and smoother look, it does not last for more than a few hours. The combo of moisturizing ingredients with treatment ingredients make for a good combo for hands that look younger all day and address wrinkly knuckles, dark areas, and really dry cuticles. I mostly just applied it to cuticles, knuckles, finger webs, and areas of obvious aging or dry skin. It really makes a difference: my cuticles cleaned up quickly and evenly – and I have no idea what I’m doing when it comes to at-home cuticle clean up. In fact, on Monday I was attempting to get some picture of an amazing vintage ruby ring of mine for Style Chick’s Instagram, but decided to scut the pictures because my hand looked so dry and wrinkly (happens every winter, even with regular glove usage.) The ring looked amazing – the hand did not. But after a night with Elba Naturals n.1 Face & Eye Advanced Firming Creme on my hands, I’m ruby ring close up ready! I will definitely continue to use Elba Naturals n.1 Face & Eye Advanced Firming Creme! Find Elba Naturals n.1 Face & Eye Advanced Firming Creme at Amazon. I received this product for free in exchange for my unbiased opinion and review. I’ve been searching for the perfect body butter for awhile now, without success. I’ve tried some nice ones, but there is always something that keeps me from using it regularly – it takes too long to absorb, the scent is too heady, too greasy, or it just doesn’t hydrate all that well. I was recently sent Caudalie Vinotherapie Vine Body Butter, and I tried it with a guarded excitement – the other Caudalie products I’ve tried have been absolutely jaw-dropping (we’ll be reviewing a few in the next couple of weeks – Vinoperfect Radiance Serum and Pulpe Vitaminee 1st Wrinkle Eye Cream are life changing! ), so I had hope that if Vine Body Butter was as good as the other products, that I had found the Body Butter I have been looking for. The verdict? It’s the perfect body butter, light fragrance, and mini spa experience rolled into one. Let’s start with the scent. It’s incredible. The top note is like the freshest, most perfect peach you’ve ever had, and a more subtle citrus scent. When I asked the other Style Chicks what scent they detected, though, I kept getting different answers. Interestingly, it reminded each of us of scents we loved, and none of us came up with the same first answer. It seems like it’s an universally likable scent. I asked what the actual scent is, and it consists of sweet orange zest, peach pulp, carrot and iris. I could go on for pages on how great the scent is, but I’ll sum it up this way – the amazing scent of Vine Body Butter is replacing my regular fragrance now. It’s a subtle scent that just makes me happy. If you are interested in complimenting the scent, try Caudalie’s Hand and Nail Cream and their Foot Beauty Cream. Oh, and did I mention how fantastic the scent is? Of course, efficacy and texture are top priorities in picking a body butter. On those scores Vine Body Butter hits it out of the park as well. It is a relatively lightweight consistency and glides on the skin with absolutely no greasiness. None. Massage it in lightly and your skin is just smooth, supple, silky, and dewy, but not greasy or oily. This is a big plus for me, especially for a daily use product – sometimes you can’t stand around waiting for several minutes for a body product to sink in before you get dressed. Vine Body Butter super-hydrates the skin upon application, and you can get dressed immediately. Of course, feel free to take your time if you have a few minutes. In fact, it makes for an amazing massage cream. The results are the best I’ve seen in a body butter. I especially noticed the change on hands. I realize I sound like a broken record lately in my reviews, but it is really cold here on the East Coast. And cold, windy weather always wrecks havoc on the skin on my hands. After apply Vine Body Butter after my shower each day, I’ll rub whatever I have left over on my hands. My hands look sooooo smooth and, well, like skin of a child. My nails look instantly buffed and cuticles are quickly tamed. If it can do that for my incredibly dry hands, I can’t wait to use it during summer to get super supple skin all over! In fact, numbering among my reasons that I wish winter would hurry up and pass include being able to show off how great it makes arms and shoulders look – really makes you resent having to bundle up instead of wearing a sleeveless top! So how does it work? Like the rest of the Caudalie line, Caudalie Vinotherapie Vine Body Butter has highly effective, super hydrating and repairing ingredients. The Caudalie website product page mentions that it contains: “Grape Seed Butter, rich in Omega 6, Vitamin E, minerals and proteins and Grape Seed Oil to regenerate skin cells and fights effects of ageing, rich in Omega 6, Vitamin E. Caudalie exclusive ingredient, Vinolevure, which holds 100 times its weight in water, nourishes and strengthens. A Hydra-complex – from plant active ingredients, increases skin water reserves”. The tube also mentions shea butter, which works superbly in tandem with the other ingredients. These ingredients form a lipid layer on your skin to protect it. I am quite impressed at how well this layer works – I noticed that after several good hand washes, my hands still felt moisturized – this isn’t a cream you have to apply after every hand wash.
All in all, I’m thrilled to find Caudalie Vinotherapie Vine Body Butter. It makes skin look, feel, and smell phenomenal, and protects against future damage. The tube is 6.7 oz for $36, which is a great price considering the relatively small amount you have to use for good coverage. It also makes a fantastic gift – baby showers, brides, get well gift, etc – it’s a luxuriously enough product that everyone will think that you found them the product that addresses their exact need – even if it’s just to be pampered. Find the amazing Caudalie Vinotherapie Vine Body Butter at Caudalie-USA.com. Skinstore.com is offering a generous 20% coupon through February 14 with code 20LUV.